For rules and prohibitions specific to airports in California, see California Airport Information for Drivers. Our goal is to partner with every airport to provide a delightful Lyft experience for passengers to and from the terminal, as we already have in several cities. See below for a list of current airport pickup and drop-off statuses. 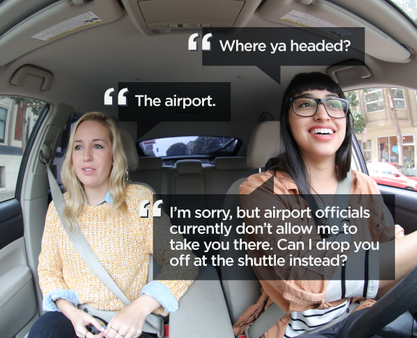 Tap a state, then tap the links in the list for detailed instructions on giving airport rides. If your city's airport is prohibited for pickups, the app will prevent airport pickup requests from being made. If a passenger moves their pin outside airport property, and asks you to come pick them up at the airport, kindly inform them that you are not authorized to, and they'll need to find alternate means of transportation. Offer to take them to a nearby destination. Apologize, and politely cancel the ride. Worried about your acceptance or cancellation rate? Let us know and we'll remove it from that day's summary. Authorities at the airport may approach you and ask you for a waybill. Tap Waybill in the left side menu. 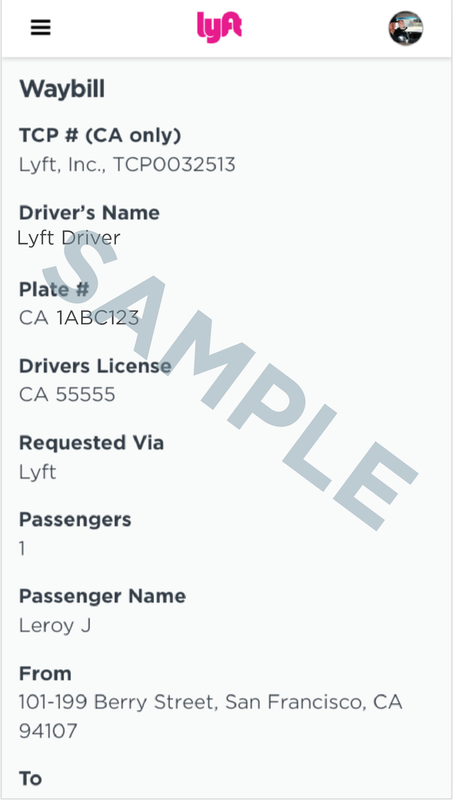 *Access your Dashboard either through the left panel menu in the Lyft app, or by going to lyft.com/drive in a web browser.